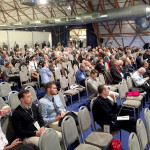 The new edition of mcT Tecnologie per il Petrolchimico, the event of choice for all professionals engaged in the petrochemical and processing industry sectors, is scheduled for November 30 in Milan, Italy. This year the exhibition and conferences are shaping up as a privileged showcase not just for industry excellence, but also as an opportunity for professional development. The event will begin with the morning session coordinated by Carlo Perottoni (AIS / ISA Italy section, Saipem), focusing on optimization of energy cycles and reduction of emissions, with emphasis on renewable and energy efficiency in petrochemical plants, innovation in the regasification industry and industrial maintenance, with the direct involvement of leading companies addressing current issues and showcasing case studies. This year, the conference schedule also includes the seminar “The future of Cyber Security”, organized by ANIPLA (Italian National Association for Automation), which will showcase an update on the ISO, CEN, UNI regulations, in relation to the protection of critical facilities. 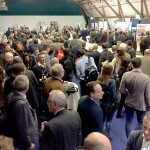 The formula of the event, in addition to the program mentioned above, includes a vast exhibition area with industry leading companies and a series of technical workshops cured by the same participating companies in order to enable participants to learn more about specific solutions, technologies and case studies related to the petrochemical and oil and gas sectors. mcT Petrolchimico is organized by EIOM in collaboration with AIS / ISA Italy section (Italian Instrumentation Technicians Association), sponsored by ANIPLA (Italian National Association for Automation), GISI (Italian Instrumentation Companies Association), and support of the “Guida Petrolchimico” magazine. The event program is available on the website www.eiomfiere.it/mctpetrolchimico_milano Interested operators can pre-register on the same website in order to access the event and the simultaneous exhibitions free of charge, take part in the seminars and workshops and make use of the provision of related services.